You are here: Home / Book Love / Have a Ball with Elephant and Piggie Story Time! 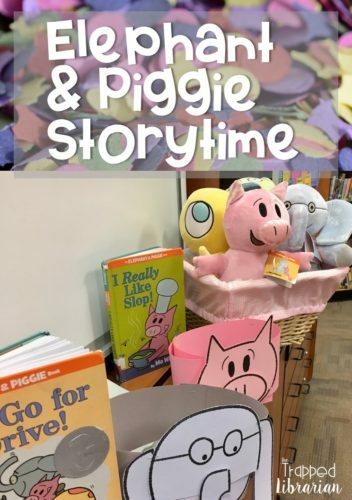 Have a Ball with Elephant and Piggie Story Time! Mo Willems’ Elephant and Piggie series for early readers is popular with young children for a reason. They are fun, exciting, surprising, and full of genuine emotions! 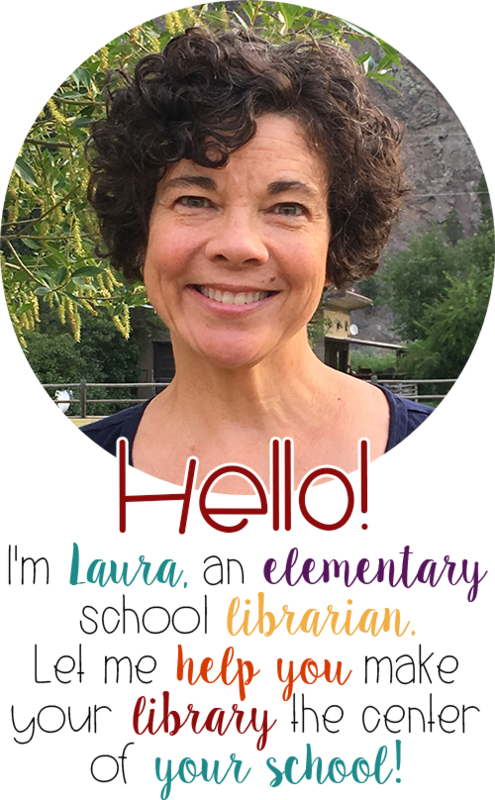 Although the final book in the series was just published in 2016, these engaging stories have already become a classic staple in elementary school libraries and kindergarten and first grade classrooms across the country! At my school, older children check them out to read them with their little buddies because they enjoy the humor too! This post contains affiliate links. If you click through and make a purchase, I may earn a small commission at no cost to you. Last summer I picked up a set of Mo Willems plush characters at Kohls and I’ve been waiting for the right time to introduce these special friends to my kindergarten students. 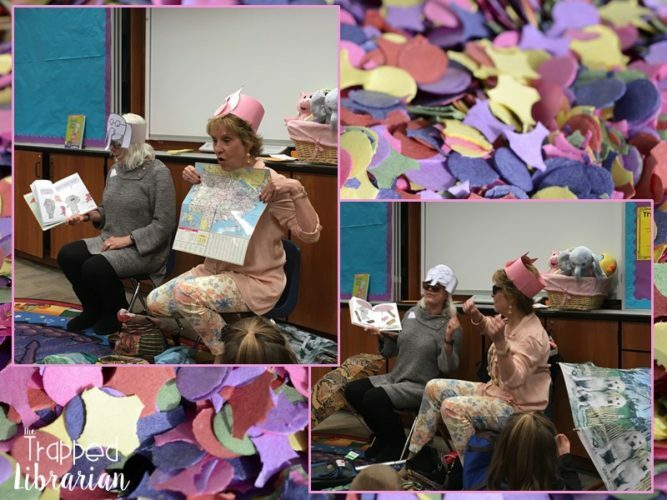 I invited some good friends (who happen to be retired educators) to be guest readers for a special Elephant and Piggie Storytime. 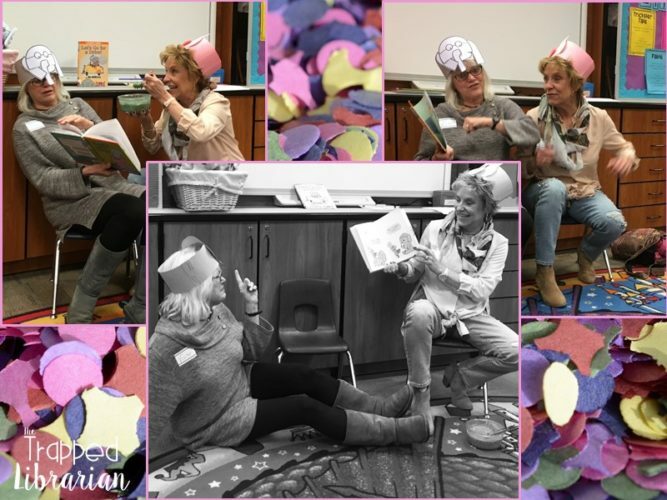 These exuberant educators chose two books, Let’s Go For a Drive and I Really Like Slop, and they went all out with their over the top performance and props! My young learners were the perfect audience – they were captivated and enthralled! 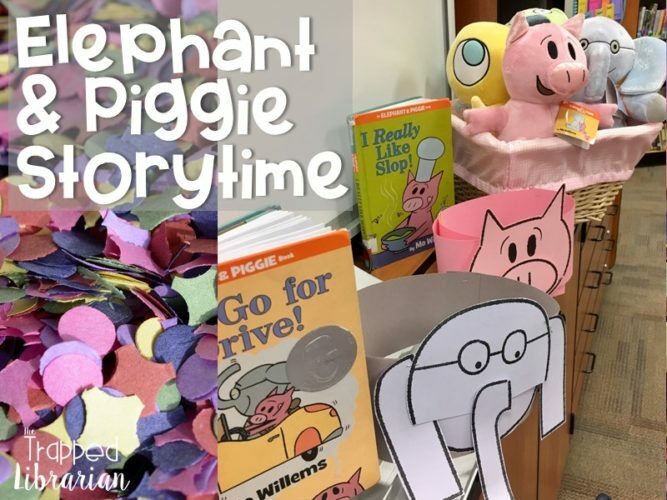 I believe my friends are pretty special, but I know that you could pull off a fun Elephant and Piggie Storytime in a few easy steps and your students will be delighted! Make Elephant and Piggie headbands! I downloaded The World of Elephant and Piggie Teacher’s Kit from Mo Willems’ website. There are patterns for paper bag puppets that are easily adapted into headbands – just attach the pieces to a strip of construction paper or cardstock. For Let’s Go for a Drive, my friends brought a bag with maps, sunglasses, and umbrellas stashed inside for easy access. They also brought suitcases and backpacks as well as quick pirate disguises! For I Really Like Slop, they created a bowl of chia seed cereal with blueberries and bananas and added food coloring to turn the whole concoction green! A spoon, a straw, and some “dessert” rounded out the props for this hilarious story of friendship! “They made the story come alive!” This comment was made after each of our story times! Our special guests were quick to mention that it’s easy to make a story come alive and to let them know that they can do it too. Give your students ideas for finding props at home and acting out stories with their family members. Give the students a chance! 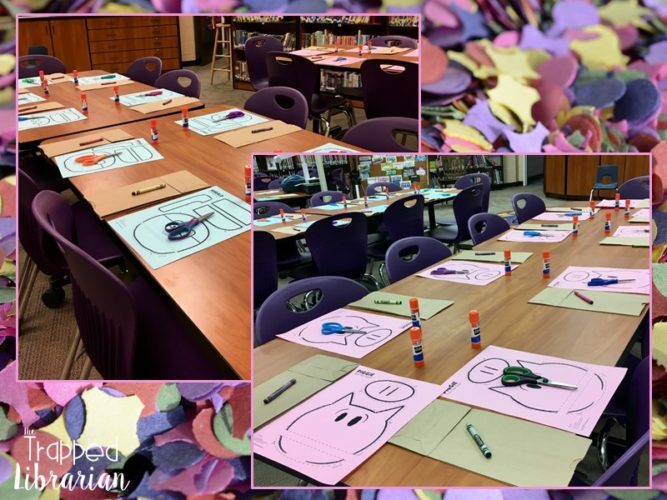 The following week I used that same puppet pattern from The World of Elephant and Piggie Teacher’s Kit and let my students choose to create an Elephant or Piggie paper bag puppet. We had time for a readers’ theater style “repeat after me” story-making of our own. What fun we had with our own retelling of Let’s Go for a Drive! Each child was thrilled to have a puppet to take home for some storytelling with their families. And our new stuffed friends? Our special Elephant and Piggie Story Time was the perfect welcome for them. The students are taking turns snuggling up with them while they read their books and work on projects each week. Do you have a favorite Elephant and Piggie story? Click below to comment and tell how you use it with your students!